Visit the Newberry Library during the Chicago Metro History Fair Blue Ribbon Student Exhibition to see the best history fair projects by students from dozens of Chicago area schools. It’s our 175 Days to Love Chicago pick for Monday, June 25! Take advantage of one of the longest days of the year to sail Lake Michigan with Chicago Sailing’s Summer ‘Sailstice’, featuring games and food on the lakefront and boats available to charter all day long. It’s our breezy 175 Days to Love Chicago pick for Saturday, June 23! Jo Jo, Frenchie Davis and Guinivere headline two days of music, food and shopping at Chicago Pride Fest, happening June 22 and 23. 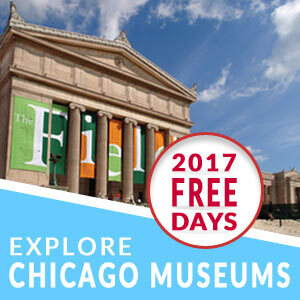 This celebration of LGBT Pride is our 175 Days to Love Chicago for Friday, June 21!